Step 1: Preheat a BBQ griddle on a high heat. Step 2: To prepare the prawns, peel away the shell from the body of each prawn, leaving the head and tail intact. Make a small incision along the back of the prawn, cutting approximately half way through the flesh, then remove the intestinal track and discard. 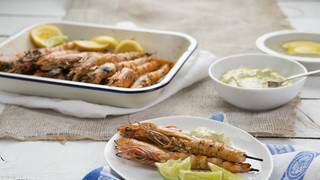 Step 3: Place the prawns onto a large tray or mixing bowl. 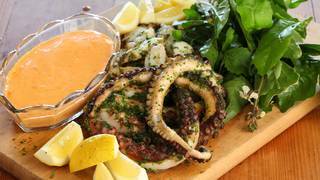 Pour over 100ml of the Moroccan Spice, Honey & Dijon Vinaigrette, 60ml of the Extra Virgin Olive Oil and season with sea salt. Mix together well and set aside. 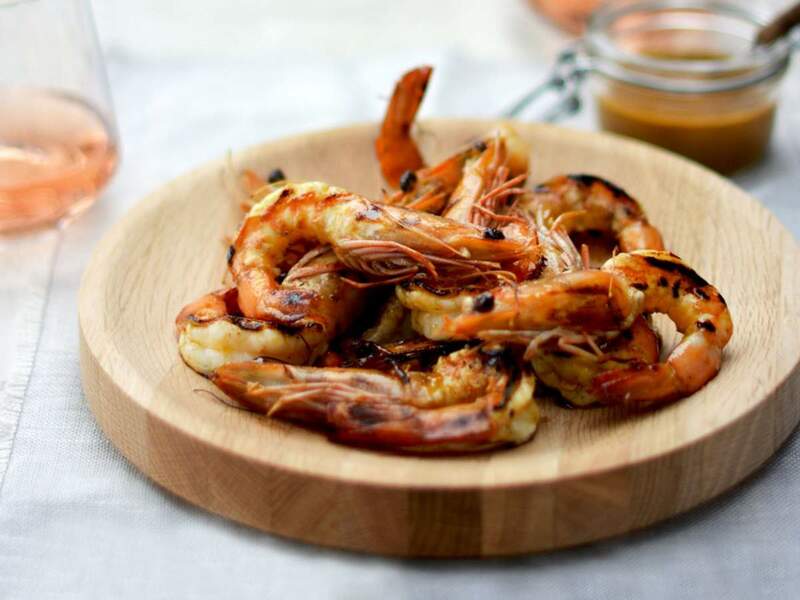 Step 4: To cook the prawns, place onto the preheated BBQ griddle and cook for 2 minutes on each side. Step 5: Remove from the heat and evenly divide the prawns between 4 serving plates or place onto 1 platter. Step 6: Drizzle over the remaining Moroccan Spice, Honey & Dijon Vinaigrette and Extra Virgin Olive Oil. 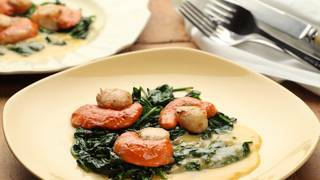 Serve with baby herbs (optional) and lemon cheeks. 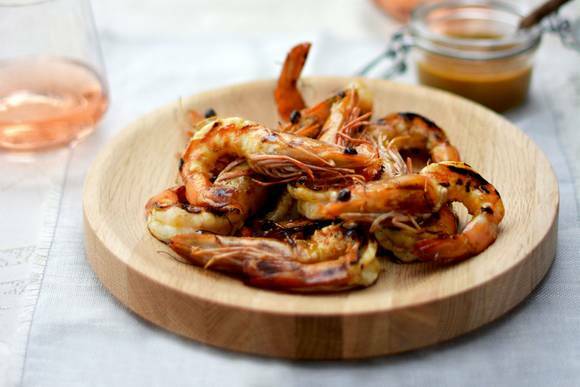 Tip: These prawns go well when served with grilled baby cos, cous cous salad or bitter leafy greens . They are also great served as a canapé.